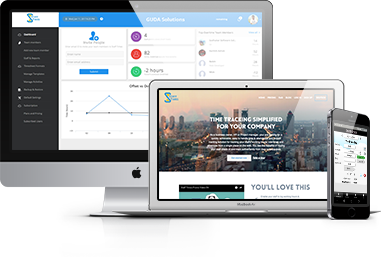 As the administrator you invite your members to join your time tracking group. 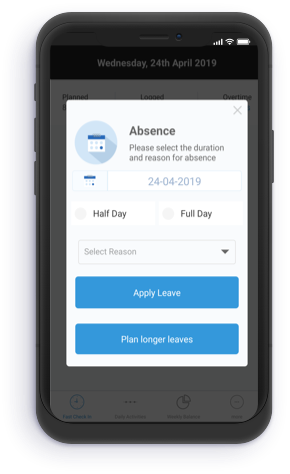 When your members enter their times you will have access to summaries, statistics and detailed reports for a complete and comprehensive status on time & attendance with accumulated balances, annual leave taken and any activities you choose to monitor. 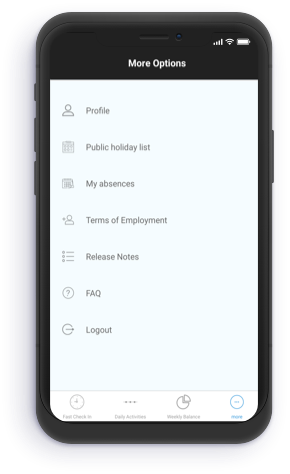 The administrator web app can be used from any computer’s internet browser with options to work from mobile devices. As a team member I want to be sure I can enter and update my working times from anywhere. 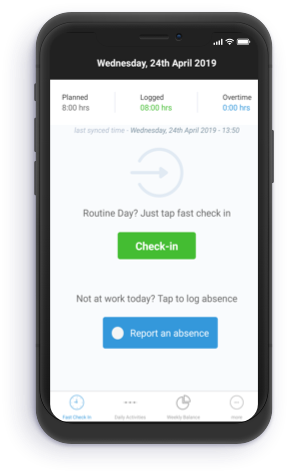 The mobile app enables offline mode (no internet connection) tracking with automatic synchronization with the Cloud DB as you come online. 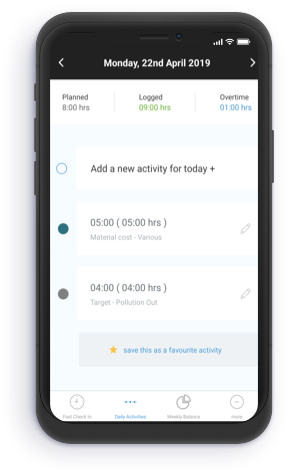 You may query your daily balances and use the reports to track your accumulated overtime, production hours or other activities which have been set up for you. You may track track your time from multiple mobile devices (eg. iPhone, iPad, Android Phone, Android Tablet). A variety of reports ensure a comprehensive overview of your tracking history and current balances from both an administrator’s perspective as well as a staff member’s perspective. In addition the tracking history can be exported in the most common formats like html, .csv and .xls for further analysis and integration.